Whenever we build, people need to be pastored. This includes business, education, government & health care. As this apostolic move of God increases, it is essential that the pastor is supernatural. Using three fairy tale characters, this message unlocks the mind, will, and emotions in order that the Princesses can emerge from their sleep, slavery, and captivity. Preached to a mixed audience, this message also addresses Princes by calling them to love their brides and the bride of Christ. “The kingdom of the world has become the kingdom of our Lord and of His Christ” (Rev 11:15). Our goal and vision is a united kingdom, and everything we build today that does not serve that vision needs to be re-examined. The greatest paradigm shift of all time! 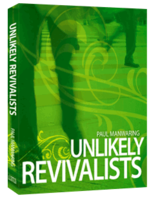 Using the examples of several people from vastly different walks of life, Paul encourages each one of us to become revivalists, regardless of seemingly impossible pasts, present circumstances or future assignments. 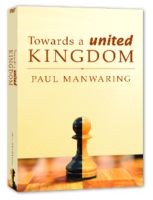 From a war hero to a mentally ill prisoner, Paul captures the essence of revival in their stories. 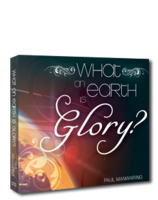 What on Earth is Glory? "The Earth will be filled with the knowledge of the Glory of the Lord"Hab 2:14. In order to become a part of the fulfillment of this prophecy, we need to learn what Glory really is. In this message Paul "unpacks" the meaning of this word. The sons of Issachar understood the times and knew what to do. This message answers the question 'What Time Is It'? and will demonstrate that you know what to do.